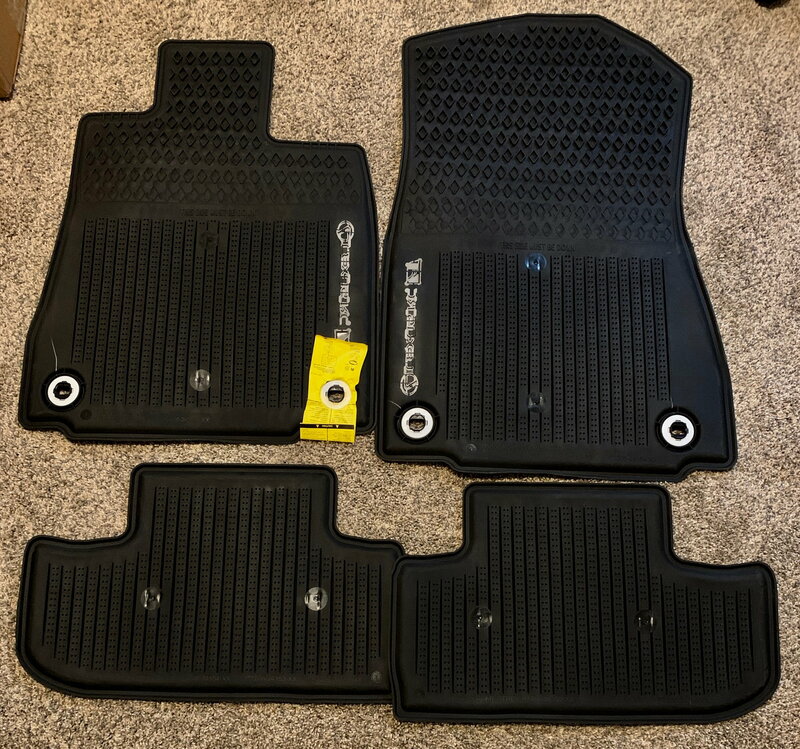 Brand new RC F All Season floor mats. These are the thick rubber ones. My car came with both the carpet and the rubber ones. I immediately bought some other aftermarket ones so these were never used. Just been riding around in my truck. PM me with your zip code and I can get you a shipping quote, or if you're in the Denver area feel free to setup a time to pick them up. Shipping will be $20 to most places as these fit into a USPS flat rate box. Still have these? Fairly interested. Call or text 909 851 6285, zip code is 91762. What’s the best you’d do if bought today? 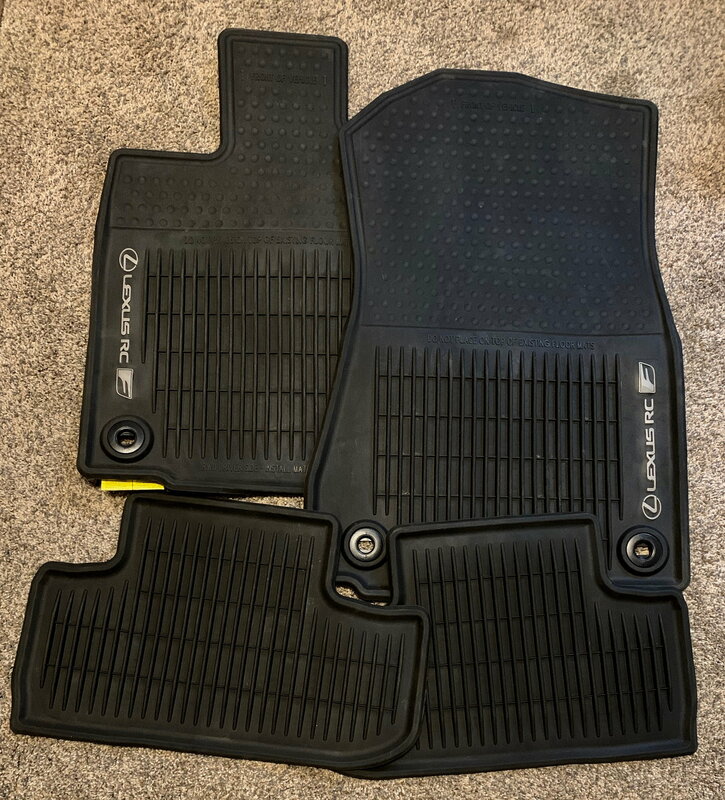 I have the exact floor mats for sale if anyone is interested. PS only if the OP has already sold his PM me thanks.